Premier fly fishing and light tackle guide in New Orleans, Louisiana. 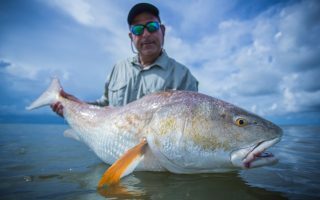 Come experience the best sight fishing locations for redfish, tarpon, and other sought after inshore saltwater species the south eastern United States has to offer. 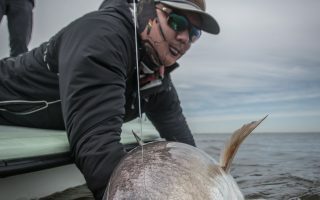 Forty minutes from downtown New Orleans, Fly Water Expeditions will allow you to experience a world class red fishery that is second to none with an incredible opportunity to catch record fish on a regular basis. Redfish and Black Drum up to fifty pounds in clean water is what it is all about here in the Louisiana marsh. These fish aggressively eat flies and artificials making them great game fish that provide non stop action all day long! Fly Water Expeditions travels to the coast of Florida during the Spring and Summer months to sight fish for monster tarpon in shallow water. Tarpon are considered to be the most targeted game fish for fly and light tackle anglers around the world. 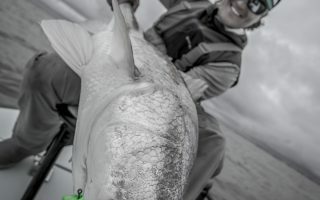 With years of experience fishing up and down the coast of Florida, all the way to the panhandle for these prehistoric monsters, Fly Water Expeditions will put you on a fish of a lifetime well over 100 pounds! Fly Water Expeditions strives to accommodate its anglers in every way in order to deliver the most memorable shallow water sight fishing experience in the world. With local knowledge and numerous years on the water, we guarantee you the trip of a lifetime. Fly Water Expeditions looks forward to hearing from you and welcomes all anglers to enjoy some of the best fisheries this world has to offer!